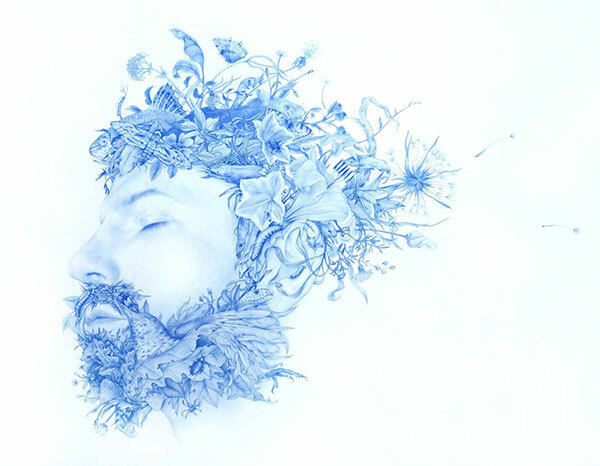 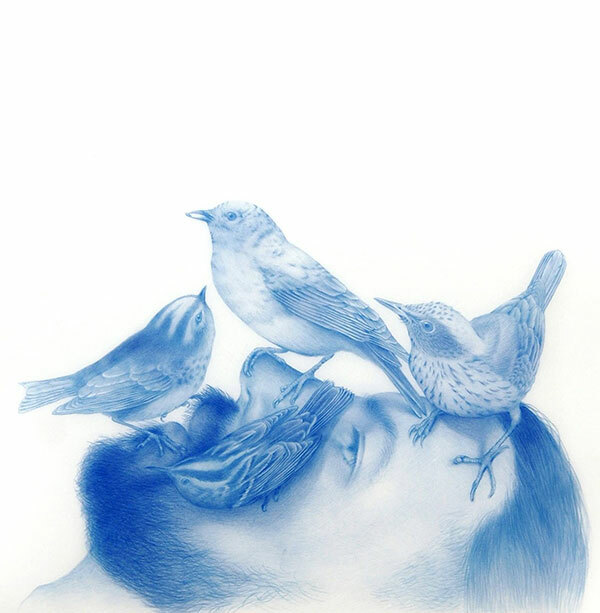 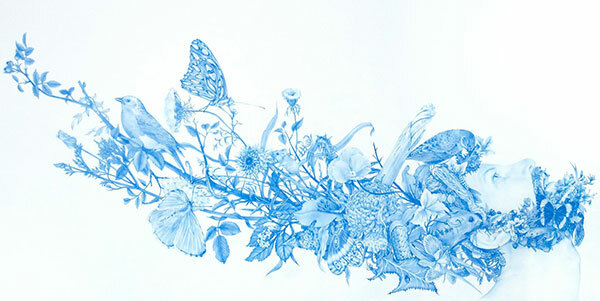 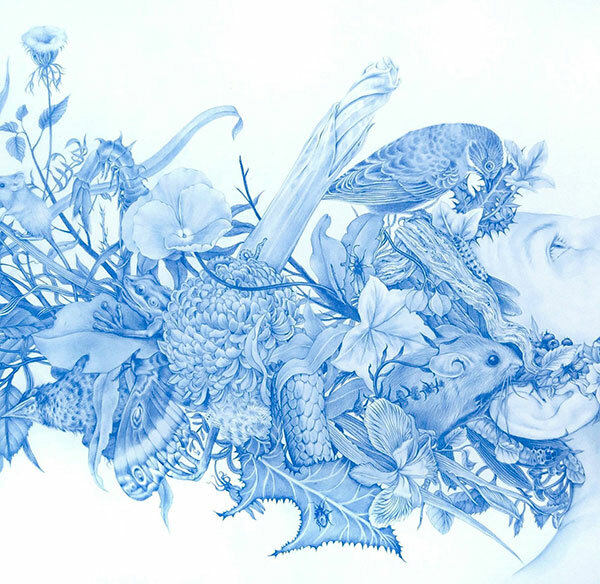 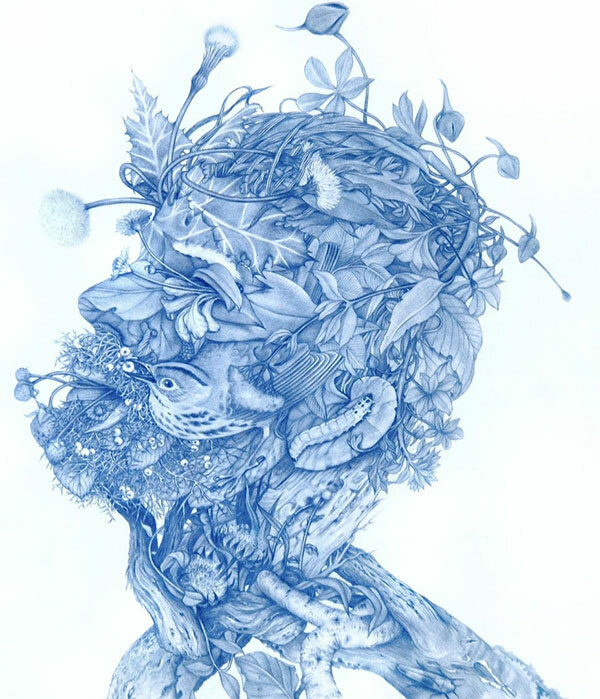 Blue pencil drawings by Canadian artist Zachari Logan depicting a man engulfed by plants, animals, and insects. 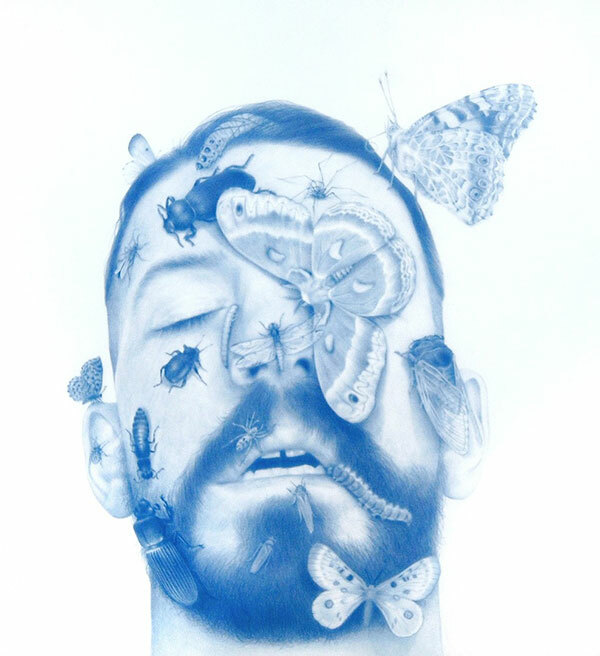 Logan uses himself as a model for his drawings and paintings, turning his elaborate studies of nature to explore intersections between masculinity, identity, memory and place. 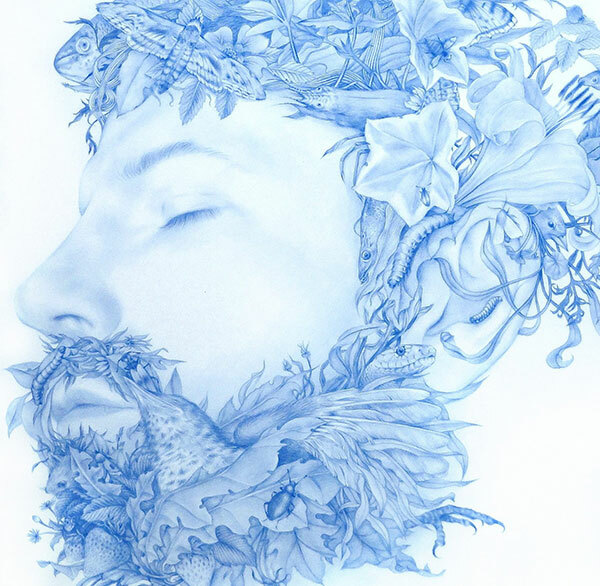 His idea of a man entwined with nature, a life unfamiliar to most of us, is his concept of a unified man who Zachari believes has disappeared in the 21st century. 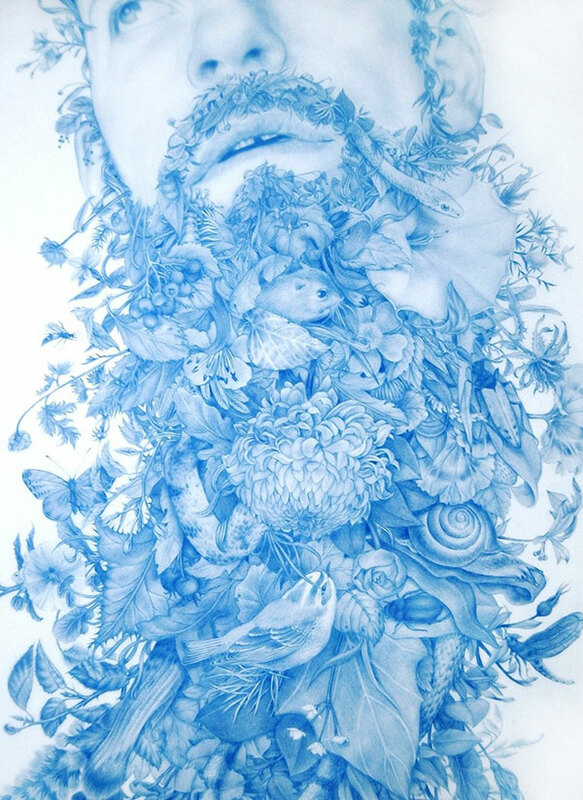 The weaving of animal and plant imagery aids my queries into the social and sexual assumptions most humans have about the vast majority of humans and other animals. 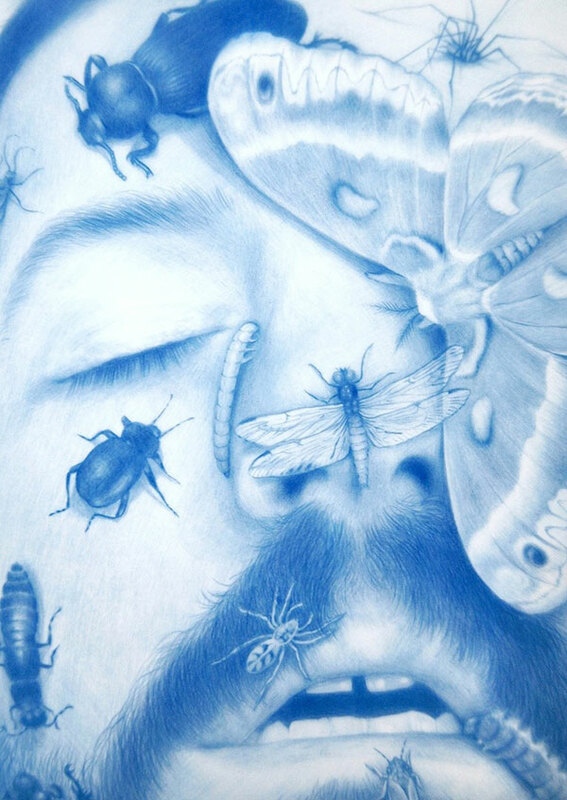 The reality of sexual diversity and roles in nature are often misunderstood by so many.